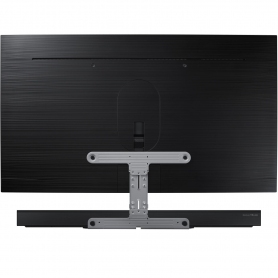 Enjoy a seamless connection between your TV and soundbar with this wall mount kit from Samsung. With the WMN_300SB there’s no need to make additional holes in your wall - just one cable can be used to power both devices. This model is compatible with Samsung’s MS5 series soundbars and upwards. 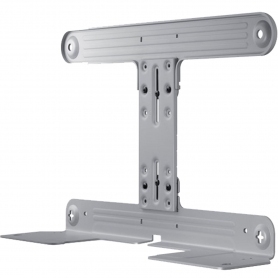 There are a number of advantages to having a wall-mounted TV, most notably to save space. Fixing a slim TV set to a wall in your home removes the demand on floor space, and is less intrusive on your living area. You can also decide what height you would like the television to be placed – tailor the setup to your eye level for more comfortable viewing. Ensure you’re watching from an optimal distance with the WMN_300SB. 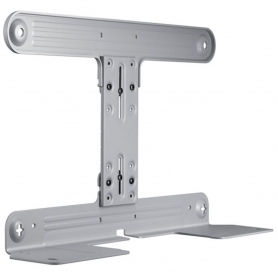 This Samsung wall mount is fully compliant with the VESA Mounting Interface Standard. 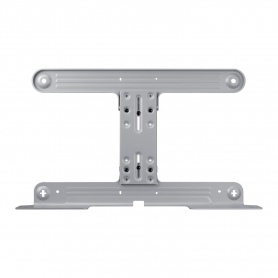 VESA is a standard that applies to TV brackets and wall mounts – it defines how far apart the four mounting holes on the back of a TV are in millimetres. 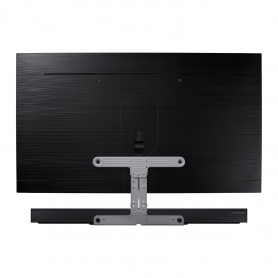 As a VESA compliant model, the WMN_300SB features a standard spacing to fit any suitably sized TV. Find the right view for you with the WMN_300SB from Samsung. Order yours today.